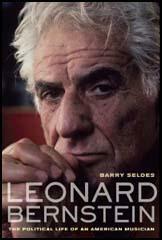 Leonard Bernstein was born in Lawrence, Massachusetts, on 25th August, 1918. He attended Harvard University and the Curtis Institute of Music (1939-41) before studying under Fritz Reiner and Serge Koussevitzky. After working as assistant conductor of the New York Philharmonic he became conductor of New York City Center (1945-47). He also wrote the music for Fancy Free (1943) and On the Town (1944). After the Second World War the House of Un-American Activities Committee (HUAC) began to investigate people with left-wing views in the entertainment industry. In June, 1950, three former FBI agents and a right-wing television producer, Vincent Harnett, published Red Channels, a pamphlet listing the names of 151 writers, directors and performers who they claimed had been members of subversive organizations before the Second World War but had not so far been blacklisted. The names had been compiled from FBI files and a detailed analysis of the Daily Worker, a newspaper published by the American Communist Party. Bernstein was one of those named but he continued to be commissioned to write the music for films including On the Waterfront (1954), West Side Story (1961), To Kill a Mockingbird (1962) and Terms of Endearment(1983). 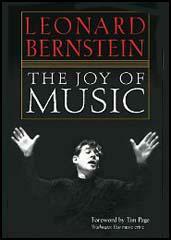 Leonard Bernstein died in New York on 14th October, 1990.